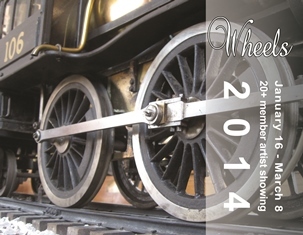 The first 2014 Community Arts Show “Wheels” opened on January 23, 2014 and will be up through March 8th. There is a diverse group of works by many artists. Come by and see the work and vote for your favorite work. Original work in multiple medias will be exhibited at the Artisan Depot at 201 Cumberland Street East, Cowan TN. The joint reception with Nancy Wallace’s “Its All About Books” was well attended and great fun. Be watching for the receptions for upcoming shows, you are invited! The Artisan Depot community art shows welcome original contributions from Franklin County artists of all ages in multiple types of art media. The Artisan Depot is operated by the Franklin County Arts Guild. Gallery hours are 12 pm to 5 pm on Thursdays and Fridays and 11 am to 5 pm on Saturdays. 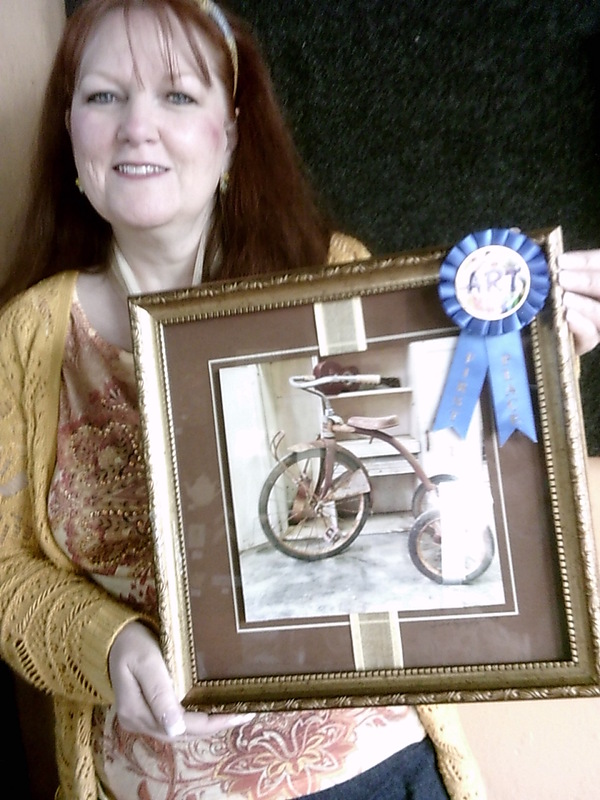 Tina Carter’s photo “Optimism or Pessimism” is the People’s Choice winner of the first community art show of 2014, Wheels. The photo is of a vintage tricycle and has old ukuleles in the background. Carter remembers that it was an eccentric display and appealed to the photographer in her. The work can be seen at the Artisan Depot in Cowan. Tina is s a long term resident of Winchester and frequently submits work to the community art exhibits and has had several solo shows of her photography. In addition Tina has recently shown her clay/sculpture works and acrylic paintings at the Franklin County Library.